Do you have Fort Ward stories, photos or other artifacts to share? 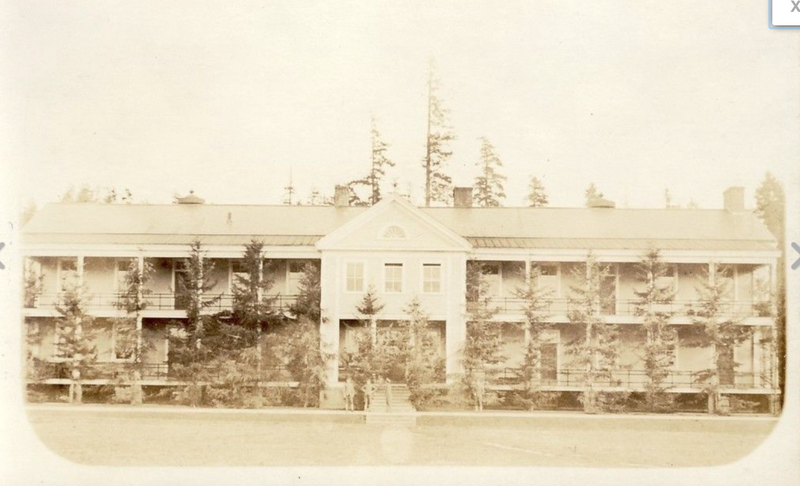 The caretaker of this project website collects memorabilia regarding Fort Ward, the other Puget Sound coast defense installations (Fort Worden, Fort Casey and Fort Flagler), as well as photographs and other archival material relating to American coastal forts generally. Once completed, the Fort Ward Community Hall will draw on this and other archival material for a colorful and dynamic interpretive element, one that will tell the role our “little fort at Bean Point” played in defending our nation through two world wars. We have already received a grant from the Coast Defense Study Group toward this goal. If you have old photos or other items that will help us illustrate Fort Ward or coast defense history for current and future generations, please contact us at fortwardhall [at] gmail [ dot] com. We’re particularly interested in hearing from anyone whose family members served at the fort during World Ward II — contact us, we’d love to talk with you and hear your family stories! A very early photograph of the Fort Ward main barracks, which survived on what is now Parkview Drive from construction around 1910 into the 1980s. The base name was later painted in large white letters on the roof — FORT WARD — to assist military aircraft trying to locate the base. ← Happy Third (and Fourth) of July! Thanks for reaching out to us with this great information! I know the kids would LOVE to meet with you and hear your stories. It would be great to give you a tour of the bakery as well. FYI: 2 of the 4 kids are out touring the country with Drum Corp International and won’t be home until mid-August. I know they will want to be there to visit with you. I’ve got your info in the database now so we will be in touch soon. Thanks again for reaching out! Thank you for the great comments, Mr. Whalley! And thank you for reading our site. Yours are exactly the sorts of stories we want to hear as we more fully develop and curate the history of our little fort. We look forward to having the students meet and interview you soon — at the bakery building, if you would like to come up the hill for a visit and a tour. We need to preserve your memories for the record. We’ll also be extending our fundraising outreach to the South Beach neighborhood soon, so please share our project website with your neighbors if you can. Again, thank you for introducing yourself! We’re pleased to have you as a neighbor. My name is Doug Whalley. My family has had a summer home on South Beach since about 1910. In the winter of 1950 the Bell family rented our house from my grandparents while the family’s father, Frank H. Bell, was stationed at Fort Ward. A few years ago a member of the family, who was four in 1950, contacted me. She was visiting here from Oklahoma and stopped by to see the house. We were not home but a neighbor gave her our contact information in Seattle. She called and talked to me, and later send a few pictures of her family from when they stayed at our South Beach house. Her dad’s friends are in uniform. I am at our South Beach house today (Monday) at 10444 NE South Beach Dr., but we are heading to Seattle by 2 or 3. In the next day or two I will scan and send you the pictures Teri sent me along with a letter she wrote. I am 70 and have a few stories about the Fort during my summers on Bainbridge in the 1950s and early 60’s, but it was always inactive when I knew it, so my stories are only about the moth-balled Fort and the transition to private ownership. For example, when the waterfront lots went on sale they were priced so high we thought nobody would buy them. They were $15,000. I do have a lot of information on the history of the South Beach neighborhood that I am organizing into a book I will self-publish some day. I would be happy to talk with some of your youth board about the Fort or South Beach when I am at our house on South Beach Dr. Your high school members probably know my niece, Tina Lemmon, assistant principal at Bainbridge.